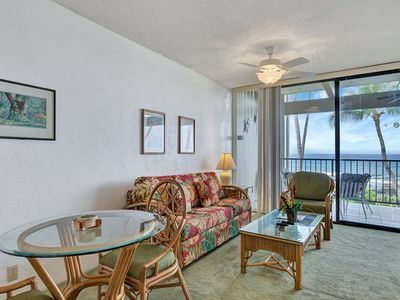 True and Absolute oceanfront condo with a lanai (balcony) that almost hangs over the ocean. 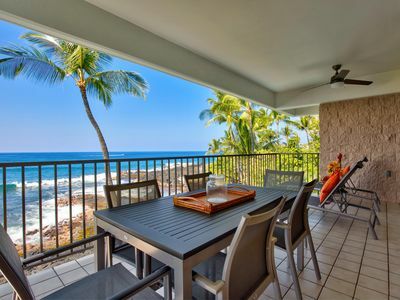 View the tide pools below where turtles and eels like to come to eat. 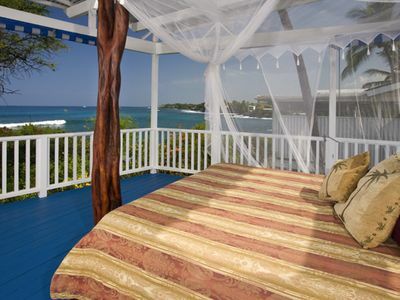 Let the sounds of the sea lull you to sleep after your day of sightseeing or relaxing; both bedroom and living room face the sea. 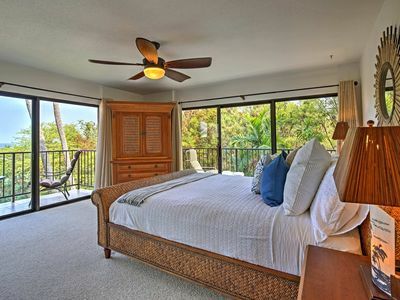 King bed in the bedroom. Queen sofa bed in living room. Tastefully remodeled kitchen and bathroom with shower over tub. 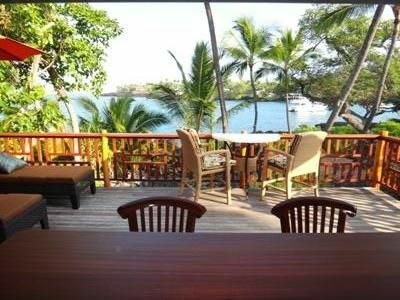 Teak lanai set on the balcony. 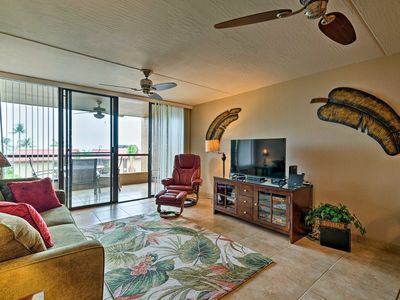 Parking, in-condo wifi, cable TV, central air, long distance calls to US mainland and Canada all included. 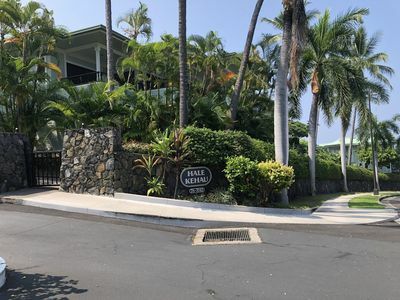 Hale Kona Kai is a stroll to the Royal Kona Resort, Huggos and a short walk to town, we have heated pool, elevator and BBQ area. 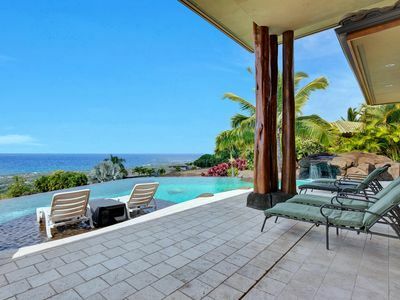 Hale Kona Kai offers a heated salt water pool, elevator and BBQ area. 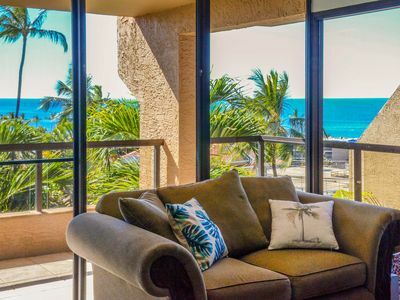 In-condo wifi, cable TV, central air, long distance calls to US mainland and Canada included. 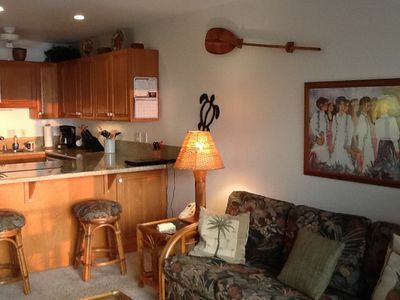 All condos have central air. 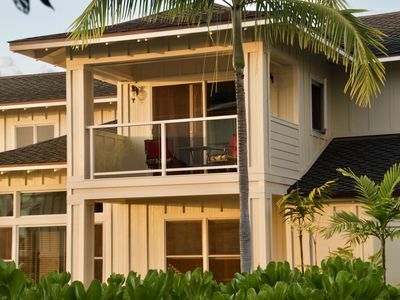 Hale Kona Kai is a small complex of 3 dozen absolute oceanfront condos in town but off the beaten path! 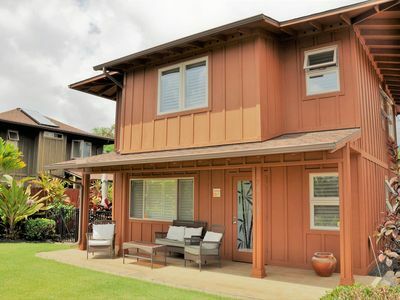 Located on a quiet side street (75-5870 Kahakai Road) and just a short block walk to the village of Kailua-Kona also known as Kona Town. 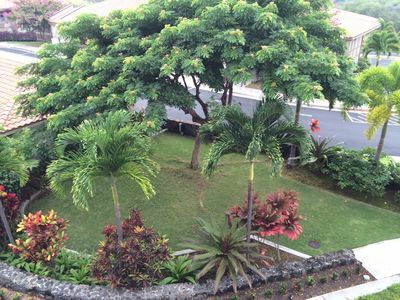 Hale Kona Kai is only 1/4 block walk to Honl's white sand beach and a 2 block walk to the Kona Farmers Market. 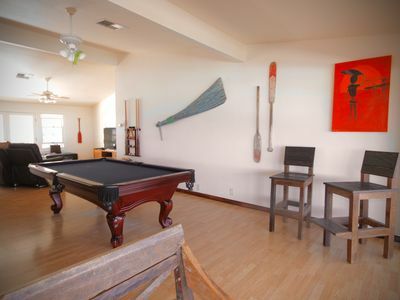 All condos are non-smoking. 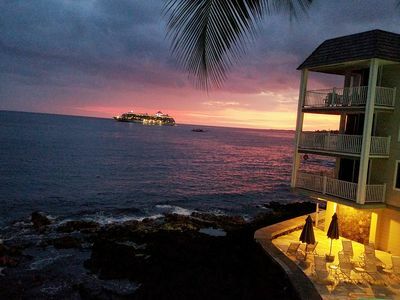 Hale Kona Kai is a non-smoking facility. 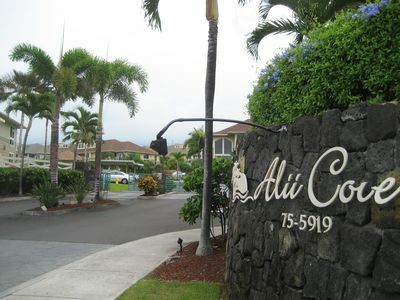 Alii Cove Townhome F-1 - Beautiful "LARGE END-UNIT"
Absolute Oceanfront Kona Reef Condo-Walk 2 Town & Beach-Top Floor-AC-Sunsets! 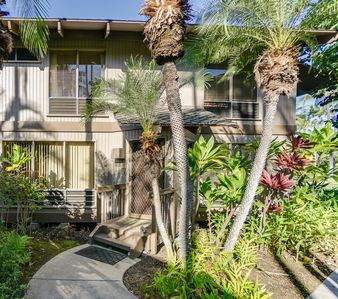 Oceanfront 2BR Kona Condo w/Lanai & Pool Access! 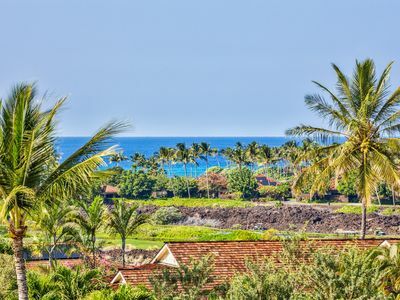 ‘Kona Pacific’ Kailua-Kona Condo w/ Ocean View! 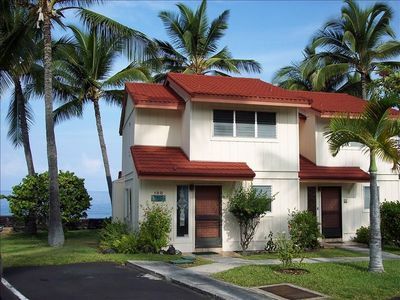 Beautiful 3 Bedroom, 3 Bath Town Home with ocean view. 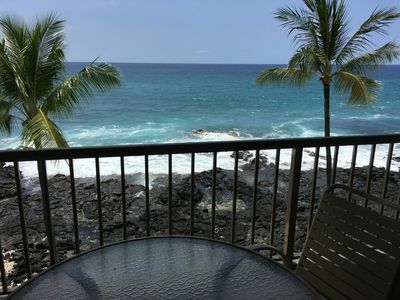 Beachside Kona Resort Condo w/Pool, Views, & A/C!